The payment of child support after divorce is very important to families for a variety of reasons, the most obvious being that the monies are used in furtherance of the child’s well being and to establish an appropriate quality of life for the child. Unfortunately, Florida ranks fairly poor among U.S. states, as it relates to social and economic conditions for children, making child support payments that much more important in our state. For example, in 2016, Florida was ranked 39th in the nation in the Best & Worst States for Underprivileged Children report. Florida, like other states, has a set formula (or guidelines) for determining child support. Under Florida state law, the judge may vary this plus or minus five percent from the guideline amount after considering all relevant factors, including the needs of the child, age, standard of living, and the financial status and ability of each parent. If the amount varies more than five percent, there must be a written finding explaining why staying within the five percent guideline would be unjust or inappropriate. This can also be the case whenever the child spends a substantial amount of time with either parent, whether temporary or permanent. In order for a modification of an existing order to be granted, the court must find that there is a substantial change in circumstances, where the mandatory the difference between the existing monthly obligation and the amount provided for under the guidelines, has to be at least 15 percent or $50 (whichever amount is greater). If your ex fails to comply with a court order requiring him or her to make child support payments, the best course of action is to work with an experienced family law attorney to file a Motion for Contempt/Enforcement to initiate a civil contempt and enforcement proceeding against them. 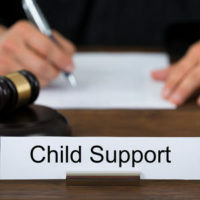 The Florida Department of Revenue, Enforcement of Child Support Orders also has some leeway in intervening when child support payments aren’t made. The Department can not only send late payment notices, but facilitate income withholding with your ex’s employer so that child support is taken out and sent directly to the Department before your ex is paid. And there are other provisions, such as driver’s license suspension, that can be implemented. However, unfortunately, there is also a pattern of families experiencing delays in obtaining child support payments from the Department of Revenue itself. In some circumstances, you may need to seek legal recourse, particularly when the delays are forcing you or your family to go into poverty. At HD Law Partners, we understand how important child support payments are to you and your family. 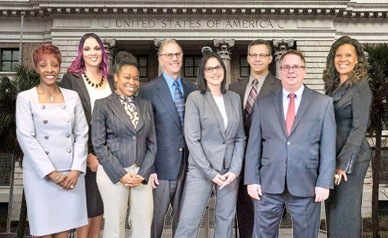 The Florida divorce/family law attorneys at HD Law Partners provide knowledgeable, compassionate, experienced, and dedicated legal representation in all family law matters, including those covering child support. Contact us today for a free consultation and learn how we can help you with any child support issue.